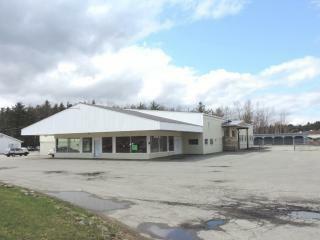 Prime Commercial location in Newport, VT. Ideal office space with excellent parking and easy access. 1200 Sq Ft on the lake and in the business district. Lease price is $12. per square foot plus CAM fees. Contact Jim at Jim Campbell Real Estate for more information. 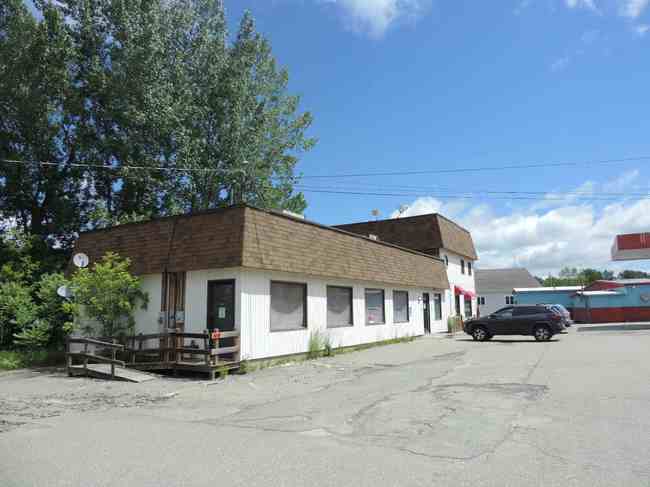 JCR c5016 ~ Derby, VT: Superb Commercial Property for lease. One of the very best locations in Orleans County. Perfect spot for your business! Options: Large heated garage area: 7,000 sq. ft. Showroom: approx. 1600 sq. ft. Large office space area: Approx. 2500 sq. ft. Can be leased in sections or as in it's entirety. Renter pays heat and electricity, phones, Internet and insurance. Water/Sewer as used. Heating system has anti-freeze in it and separate circulatory meters are in place for each area. Asking $3,000.00 for showroom and office area. Asking $2,000.00 for garage. Contact Jim Campbell at 802-334-3400 or Cell: 1-802-999-7781 for more details. 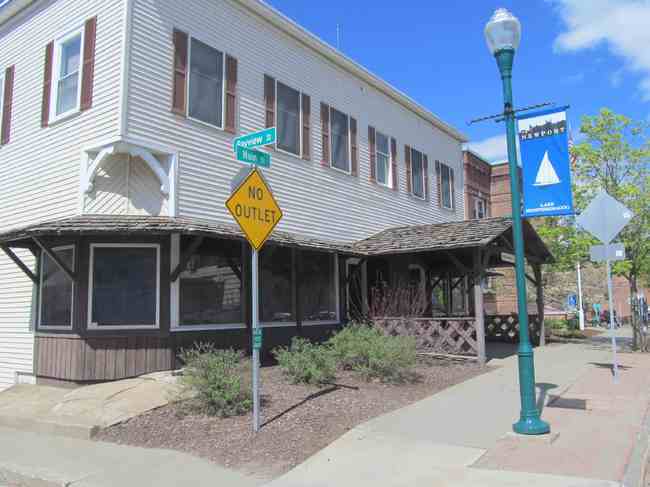 Property Name 125 Main St.
Newport City, VT: Ground level commercial retail space on Main Street in downtown Newport, available for lease immediately. Consisting of approximately 1600 sq. ft. of updated and mainly open area with a back room 20' x 29' that offers two dressing rooms and a kitchen area with sink, 1/2 bath, cabinets and counters. 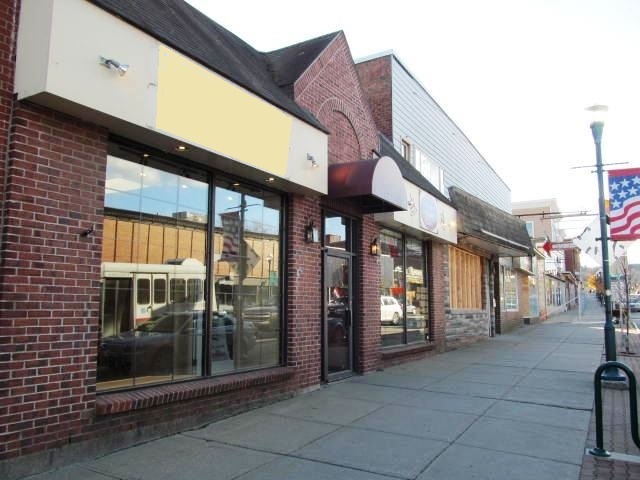 Very clean space with high ceilings, large bright front windows, ample parking on the street and great visibility and signage. With all the foot traffic downtown, this would make a nice space for most any type of retail store; gift shop, clothing boutique, shoe store, etc. Available immediately for $1250 per month including heat, water, sewer and taxes. Owner prefers a long term lease with 1st, last and security deposit upfront to qualified tenants only with great references. Contact Ryan Pronto for more details. Newport City, VT398 Western Ave.
Property Name 398 Western Ave.
JCR 246 ~ Newport City, VT: Ground level commercial retail space for lease on Main Street in downtown Newport. Consisting of approximately 1000 sq.ft of updated and mainly open area (25'x40') with two smaller offices or storage rooms and a private shared bath. Very clean space with 10'+ high ceilings, large bright front windows, ample parking on the street and great visibility & signage as a corner unit. With all the foot traffic downtown, this would make a nice space for most any type of retail store; gift shop, clothing boutique, shoe store, etc. Available immediately for $895 per month including heat, trash, water, sewer and taxes & tenants pay their own electric. Owner prefers a long term lease with 1st, last and security deposit upfront to qualified tenants only with great references. Contact Ryan Pronto for more details. 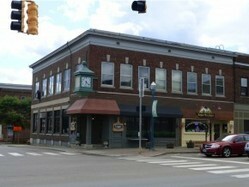 Commercial flex space of 500-1500sq.ft available for lease in downtown Newport. Ideal rental for warehousing, distribution, art studio and possible office area. Access to a loading dock & elevator, temperature controlled space and landlords willing to contribute to minor renovations to fit tenants needs. Owner prefers a long term lease with 1st, last and security deposit paid upfront to qualified tenants only with great references. Available immediately at $750/month + CAM/utilities shared expenses. Contact the listing agent Ryan Pronto for more details. Prime individual office or retail spaces for lease. 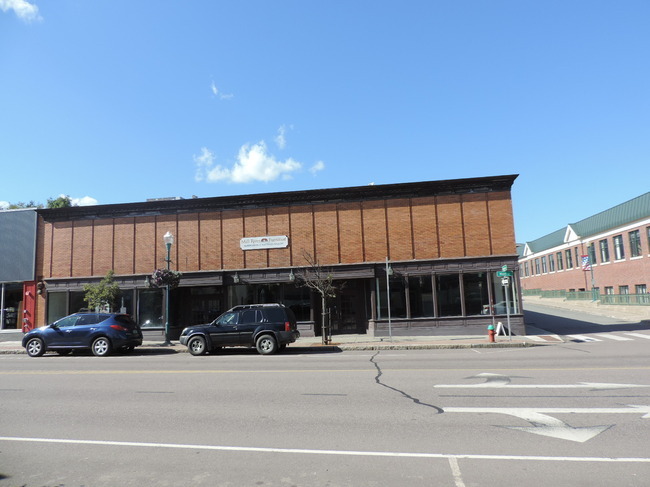 Consisting of large open office/ retail spaces on the second floor of this historic building, this is an ideal location to establish your business and join in with all the revitalization of downtown Newport. Situated on the corner of Main St. & Coventry St., this building offers great visibility for your company while sitting at your desk and enjoying the views of Lake Memphremagog. Professional office/retail space, shared entrance, common bathrooms, high ceilings, beautiful natural woodwork and over-sized bright windows. Approx. 250-300+/- sq.ft. units available January 1, 2019 and starting at $350 - $375 per month including heat and capped electric. References required. Call Ryan Pronto for more details. Downtown Newport- Retail District with lots of exciting things happening in the Northeast Kingdom. "138 Main Street" is ready for your business venture. $12.00 per square foot plus CAM fees. Also available for purchase. The building has 10,000 square feet on the main floor and 10,000 on the lower level. At one point both floors were used by JJ Newbury. There are also 2 to 3 offices at the rear part of the store. Lease for $12.00 per square foot for the first two years with 2% annual bumps after the second year. He is also willing to cut the space in half to 5,000 square feet on each floor and there are two separate entrances. The $12.00 per square foot rental charge is only for the main floor - the downstairs and offices would be of minimal expense. Be part of the new and upcoming Newport. Contact Jim Campbell Real estate for more information. For Lease Immediately, this 6856 sq.ft. commercial/industrial building is completely handicapped accessible, is situated on 1.23 acres with ample parking and has convenient access to I-91 nearby. Currently being used as a warehouse and was previously a United States Homeland Security Border Patrol Station. Offering 2944 sq.ft. of finished office space with 8'6 ceiling height, 3912 sq.ft. of heated garage/warehouse/multi-use area with 12' ceiling height, 11 overhead doors (7 doors are 9' wide by 8' high and 4 doors are 10' wide by 12' high- to include one drive-thru wash-bay). Additional features include a 22'x38' drive-thru front entrance canopy area, paved driveway, engineered septic modified mound system and drilled well. Many possibilities exists for this property, bring your ideas. Great location between growing Newport and Derby. 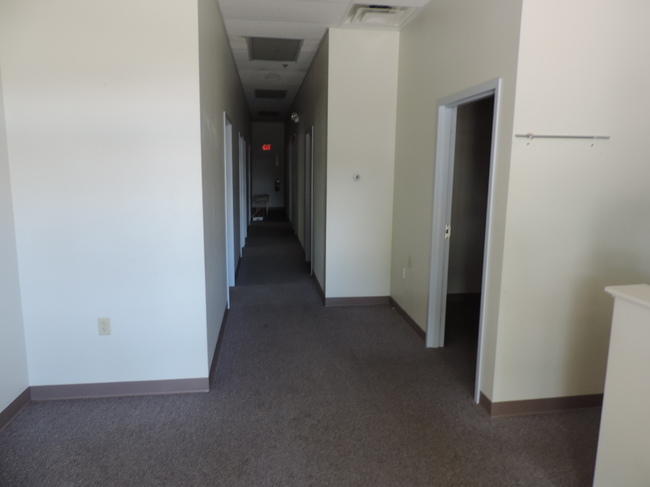 Entire building & property is available at $4500 per month with a NNN type of lease. Landlord is looking for a well qualified tenant with strong references and a long term lease. 8,400 square foot industrial building for lease immediately at $6/sq.ft NNN for entire building. Ideal for light manufacturing and/or warehousing in a central location with plenty of onsite parking. This building has been occupied by major manufacturers and most recently a Canadian manufacturing company. The building is 70'x120' mainly open floor plan, wood frame construction, 16'+ ceiling height, metal roof/siding & interior walls/ceiling cover and offering a bathroom facility, office area, approx. 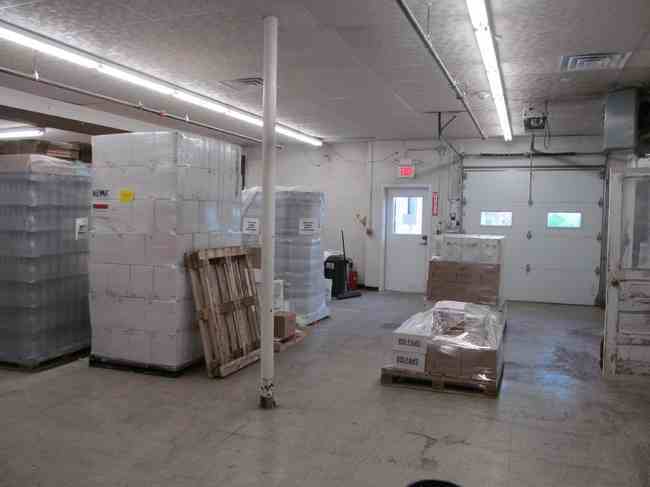 1200sq.ft of mezzanine area, 2 loading docks and a functioning dust collection system. Additional features include three-phase power and public water & sewer services. Lease terms are negotiable and landlords prefer a long term tenant.